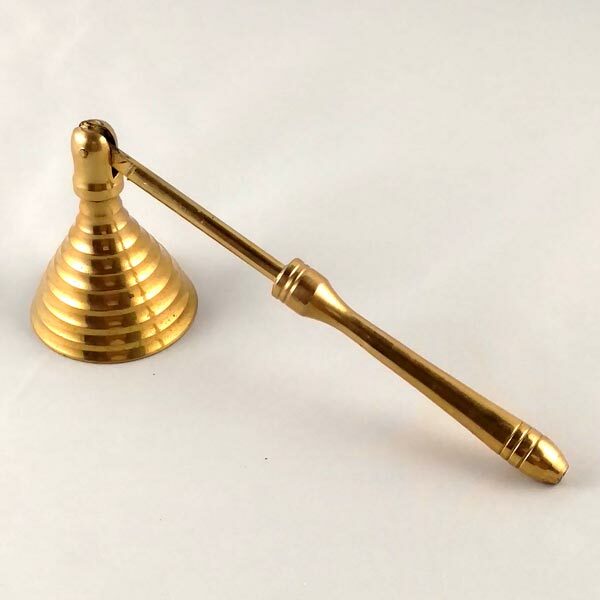 Small Brass Candle Snuffer in a great traveling size. Snuffer bell is free swinging which is great for snuffing candles in tall jars or containers. Overall length: 6-1/4", standing (as shown) 4-3/4".